With the way things are going, America — the "land of opportunity" — will soon become known as the "land of construction". Billions of dollars have been ploughed into projects to create new buildings, roads and pipelines throughout the country. According to Dodge Data & Analytics, U.S. construction projects started this year will carry a combined value of $808 billion. Also, at the moment, oil pipeline companies are doing particularly well because major renovation work is under way in and around British Columbia in Canada. Given the rising demand for robust construction equipment, Terex Trucks has decided to focus more attention on the North American market. "Historically, North America has always been a strong market for us," said Robert Franklin, sales and marketing director, Americas. "A significant proportion of the machines we make at our Motherwell facility are distributed to customers across this region. As a company, we want to grow our business in North America, reaching new customers and working with our dealer network to deliver an even better service." "Our TA300 articulated hauler does especially well in North America," said Franklin. "In fact, keeping up with demand is a challenge because it's just that popular. Towards the end of last year, the TA300 underwent an upgrade and it now includes the new EP320 transmission. It comes with two additional forward gears — eight in total — as well as four reverse gears. This helps to ensure smoother gear shifting and thereby superior operator comfort. In addition to this, the TA300 now delivers a 5 percent improvement in fuel efficiency, as well as enhanced performance, productivity and operator comfort. "We've already sold several of these machines in North America. The demand for the TA400 has picked up a lot recently too, owing to the various large-scale infrastructure projects happening throughout the region." Today, Terex Trucks has 35 dealers in North America, but the company is keen to sign more in specific regions. "Colorado, Louisiana and Alabama are target areas for Terex Trucks, as is Ontario in Canada," said Franklin. "The dealers we already have in place are exceptional. Their industry experience, together with their technical expertise and willingness to invest in training, means that customer satisfaction is consistently high. Over the coming months and years, we want to expand our footprint and reach even more customers." "Based on customer feedback, fuel efficiency is a big part of the reason why customers choose to go with Terex Trucks over our competitors," said Franklin. Both the TA300 and TA400 are extremely fuel efficient and meet the requirements of North American emissions legislation without a diesel particulate filter (DPF). This is achieved via the latest generation selective catalytic reduction (SCR), combined with exhaust gas regeneration (EGR) technology and a variable geometry turbo (VGT). 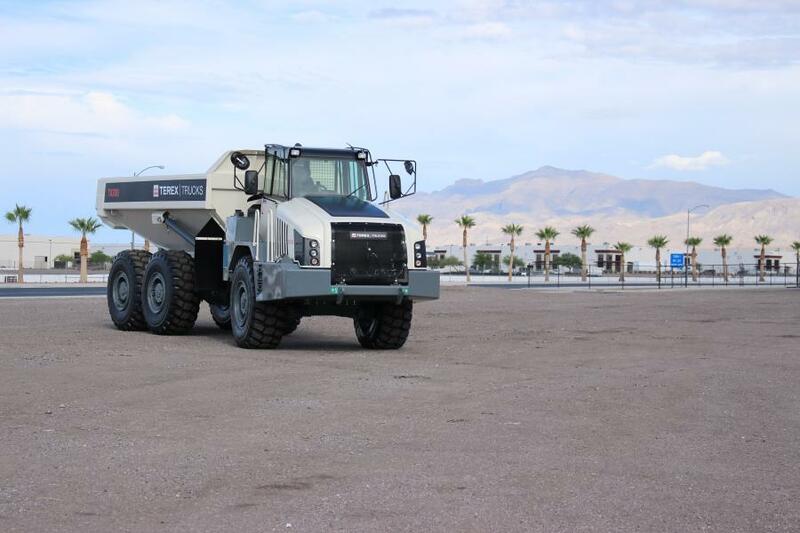 Beyond fuel efficiency, there are many other benefits that come with Terex Trucks articulated haulers. 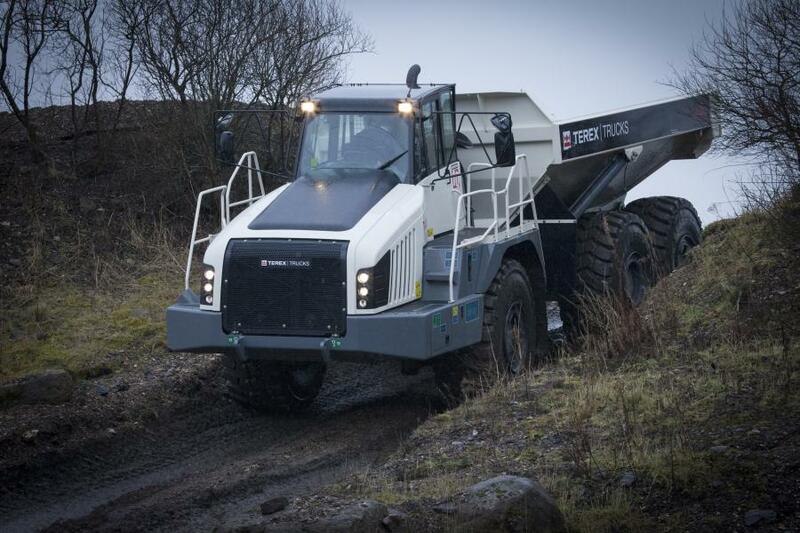 The TA300, designed to deliver in even the most challenging conditions, is a firm favorite among customers working in quarries and on infrastructure developments. Powered by a Scania DC9 engine, this articulated hauler has a maximum payload of 30.9 tons (28 t), maximum torque of 1309 lbf ft (1880 Nm) and can achieve gross power of 370 hp (276 kW). The TA400, Terex Trucks' largest articulated hauler, is the perfect fit for customers working on large-scale construction projects and mines. With a maximum payload of 41.9 tons (38 t) and a heaped capacity of 30.3 cu. yd. (23.3 cu m), it can put in a serious performance. Both machines also come with hydrostatic power steering and all hydraulic braking systems, helping to ensure a safe and comfortable ride.